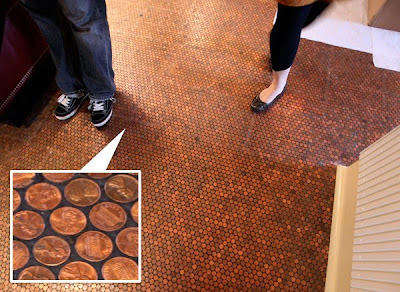 Floor Of Pennies: The floor in the Standard Hotel, New York is made up of thousands of pennies. 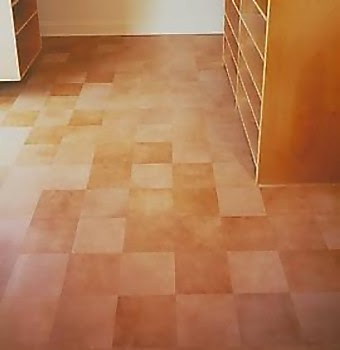 Leather Floor: "Glued right to AC plywood the soft leather tiles suppress sounds and add warm and cozy feeling to the room." 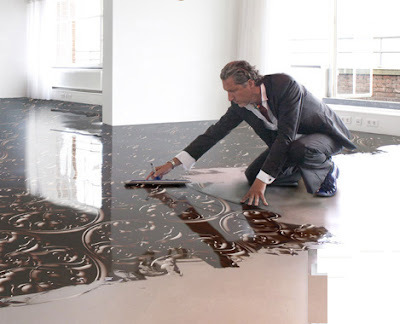 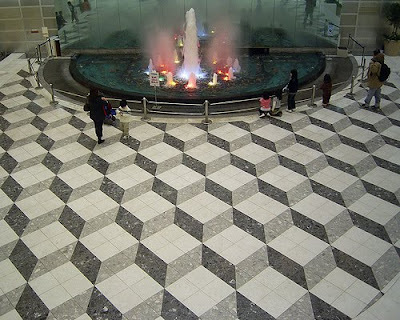 Optical Illusion Floor: The floor is designed to create a very effective 3D look. 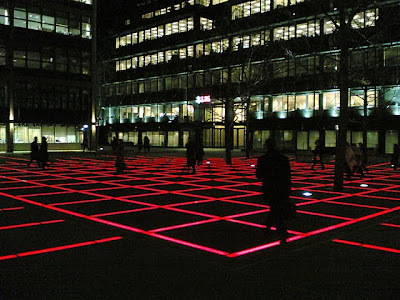 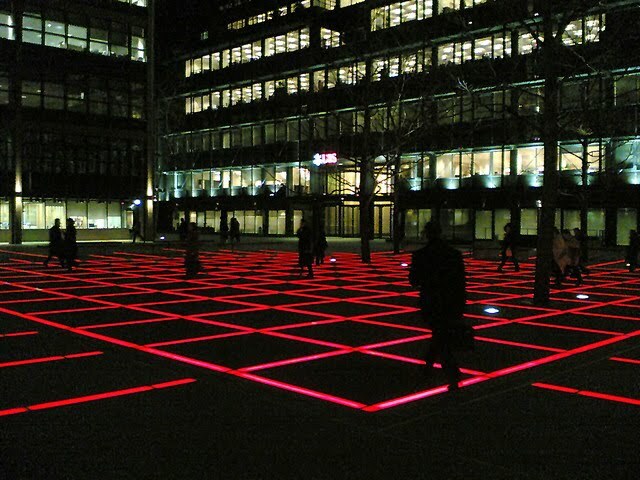 Finsbury Avenue Square: Checked floor lights that change color. 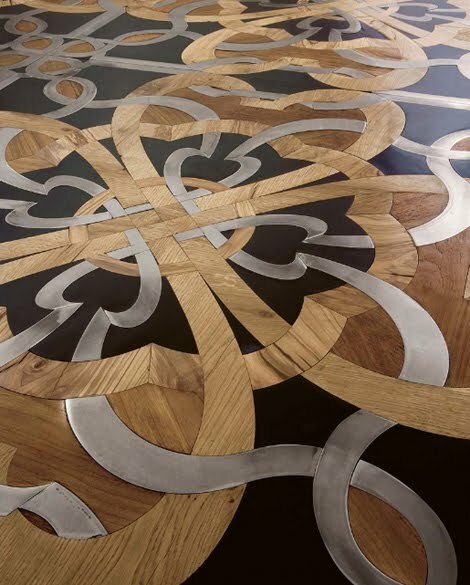 Ultra Modern Flooring: This ultra-modern flooring from Senso and renowned designer Marcel Wanders, transforms a flat, regular surface into the most appealing aspect of the room. 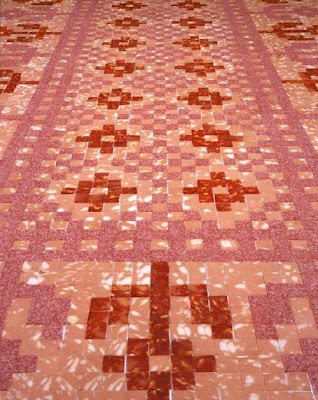 Salami Floor: Belgian artist Wim Delvoye made salami floors that looks like marble. 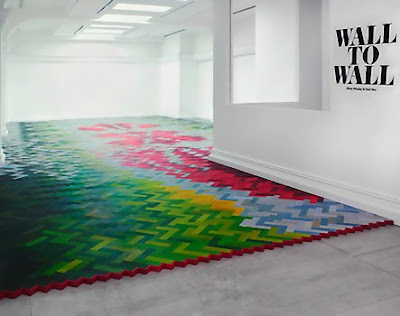 Colored Parquet Flooring: Designed by Raw-Edges design studio for Established & Sons. 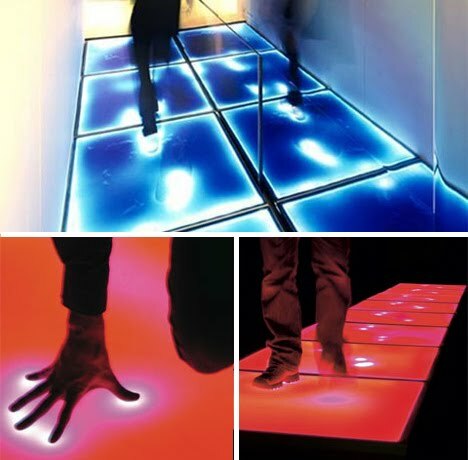 Interactive Illuminated Flooring: The flooring changes color when it is walked upon or touched. Wood Floor Mosaic with Steel and Stone: "Antique oak, olive and recovered teak inlays complement hand-polished steel inserts, and oiled and waxed stone, all arranged in an interesting pattern."